Want to learn AngularJS? We have compiled angular tutorials that cover all aspects of AngularJS programming including angular js basics, angular js examples and more. Angular JS bridges the gap and allows you to develop applications and dynamic web pages using both HTML and Java Script. It's a framework that makes it easy for developers to design client side applications. Use metadata to annotate on your DOM, and the angular will work on the DOM and manipulate it for you. Angular JS is the solution to accelerate your programming and coding skills and get down to designing serious professional apps that have true market potential. 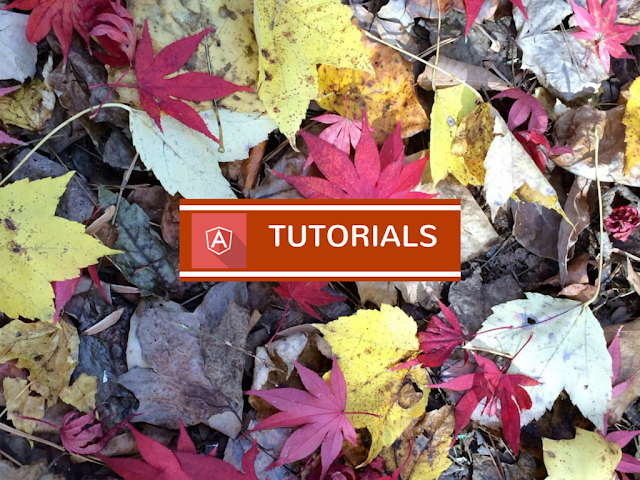 Learning Angular JS becomes easy with the step-by-step angular JS tutorials available online. Knowing about the best online resources saves time and ensures that you have the best possible learning experience, and save time by accelerated learning and quick-paced instruction delivery enhanced by multi-media resources and e-learning tools. You may also like to read best AngularJS books. Some great websites are dedicated exclusively for providing Angular JS tutorials that explain every concept clearly. These websites offer links to download Angular JS tutorials, comprehensive Angular JS learning and sequential and systematic explanations. E-learning resources, simplify learning and teach you everything about Angular JS, which is rapidly gaining popularity among developers. An online course that explains the most complex concepts in a way that grasping information will become easy for any beginner. Efficient instruction delivery, continuous discussions, and high quality instructional videos make this course unique and powerful. Complete Angular JS tutorials, rapid Angular JS learning and Angular JS tutorial videos. Angular JS style guides and cheatsheets are of great help in the beginning, and provide a useful list of references about the most essential and commonly used features. For SPAs or Single Page Applications, Angular JS provides one of the best available frameworks, and cheatsheets will help you in quickly becoming productive and save time. Video tutorials on You Tube are a free resource for learning almost everything about Angular JS. Some of the top developers currently working on their own projects provide practical and simple instructions on learning Angular JS, core fundamental concepts, Angular 2.0, and other topics and concepts. Angular 2.0 means a better framework than Angular JS and has many great features, but at the same time developers used to the old Angular JS will have to spend a significant amount of time adapting to changes and getting used to the new framework. Online Angular 2.0 tutorials have all the necessary information for a smooth transition to the new framework, and utilizing online resources can make you proficient in a short span of time. The Angular JS framework provides tools that can make a huge difference to any developer's productivity, and tutorials and presentations try to describe every important aspect with practical examples. All tutorials begin with simple basics and fundamentals and move on to the advanced practical application of concepts. Hard to learn, important concepts have been covered by various experts in separate presentations and articles. A lot of developers who are preparing to transition from Angular JS to Angular 2.0 will find these resources extremely useful. Angular JS learning tutorials in PDF and e-book format provide a great resource for knowing all about angular JS. The systematic approach to understanding Angular JS starts from core basics and first mastering them effectively, then gradually integrating that knowledge with readily available practical examples. Knowing the differences between Angular JS and Angular 2.0, and preparing for a transition to the new framework. Angular JS has evolved into the most popular framework for app developers and knowing all about is absolutely essential for new developers. Learning from online resources accelerates learning, but most tutorials often miss key issues that come up when actually get down to developing your first app. Forums provide simpler answers, great links, and can often be a great resource for learning absolutely new things. A multitude of online resources makes it necessary for any beginner to analyze the quality of resources, and choose from among the best sources of information. Online videos created by developers who are currently employed and have vast experience in the field can be the best resources for learning about Angular JS and Angular 2.0. Mastering the basics and core fundamentals is, however, the most essential part of learning and online tutorials provide every reference resource you need. The newest concern among developers of transitioning from Angular JS to Angular 2.0 has also been comprehensively explained.